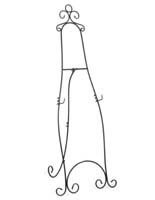 This Artist Easel Features Decorative Accents that Draw Attention from Every Bystander! Place Promotional Messages and Signs on Stands to Make Them More Noticeable! 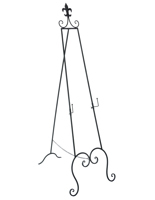 Find This Artist Easel and Others in the Massive Catalog! 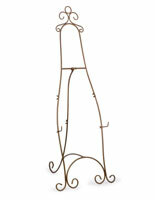 This metal stand, artist easel presents your artwork stylishly. 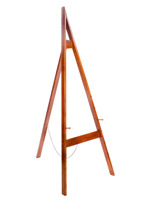 This artist easel, also known as a decorative display stand, can be used to present artwork, announcement boards and posters. 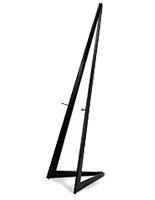 This artist easel, like a display stand and picture holder, is made of durable metal with a black finish. The artist easel is designed for indoor use. 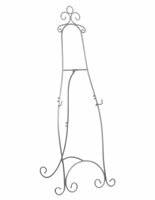 Featuring a modern and elegant design, this artist easel can be used in places like restaurants, lobbies, studios and retailers. 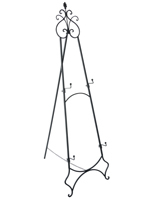 35.3" x 76.0" x 17.5"